Various lists of top college freshman have begun to be published, including SB Nation’s Top 10 freshmen to watch at Big 10 schools. Five of them will see action this season against BU—two from Michigan, two from Wisconsin and one from Michigan State. We start with a correction. Last Monday, we reported that 2015 recruit Liam Coughlin would spend this season with the USPHL South Shore Kings. Not so fast. The 6-3 forward has instead returned to BCHL Vernon where he was a key offensive cog in the Vipers strong regular season and playoff run. On Friday, Coughlin earned an assist in Vernon’s 3-2 exhibition game loss to Salmon Arm. 2016 recruit Clayton Keller scored the NTDP U17s’ first goal of the season as Team USA kicked off its season with a 6-3 loss to the NAHL Michigan Warriors. 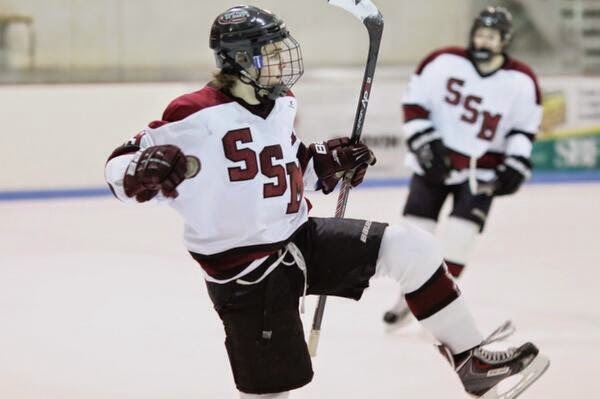 The Swansea, Ill. native, who earned second star honors, led Shattuck St Mary’s Prep to the Tier I National 18U championship last spring with a team best 77 points (36G, 41A). New England Hockey Journal talked with former Terrier standout and longtime NHLer Joe Sacco on his coaching career that has now brought the Medford, Mass. native home as an assistant to Bruins head coach Claude Julien. WEEI.com’s DJ Bean presents his contention that former Terrier blueliner David Warsofsky is ready to play regularly in the NHL. 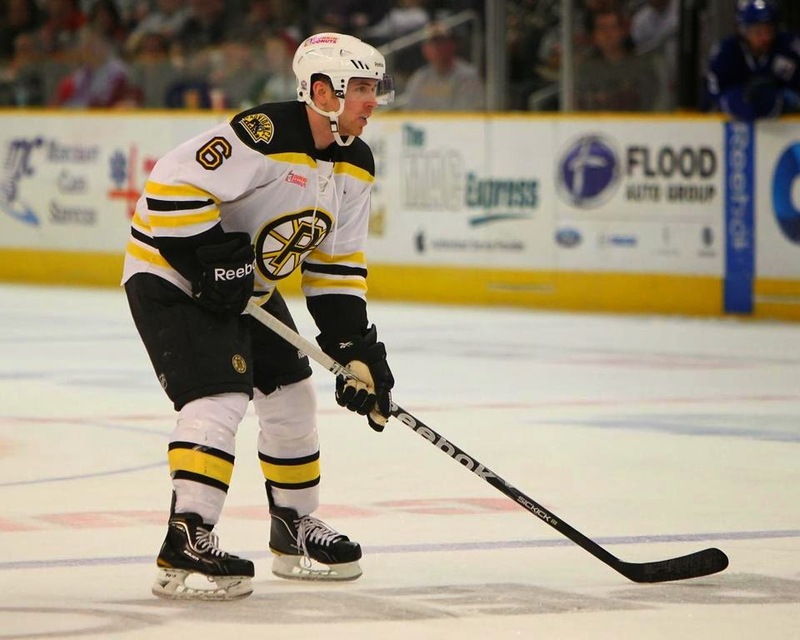 The Marshfield native, who has played three seasons with AHL Providence, was called up to the Bruins last season, scoring a goal and an assist in six games. Former Terriers and Islanders goalie Rick DiPietro, whose pro career was riddled with injuries, has taken initial steps to launch a career in sports broadcasting. While not closing the door on a return to the ice, DiPietro has been co-hosting a four-hour segment on ESPN Radio's New York outlet with sportscaster Alan Hahn. We recently reported that former BU All-American Mike Grier was named as a head coach in USA Hockey All-American Prospects Game in Buffalo on Sept. 25. 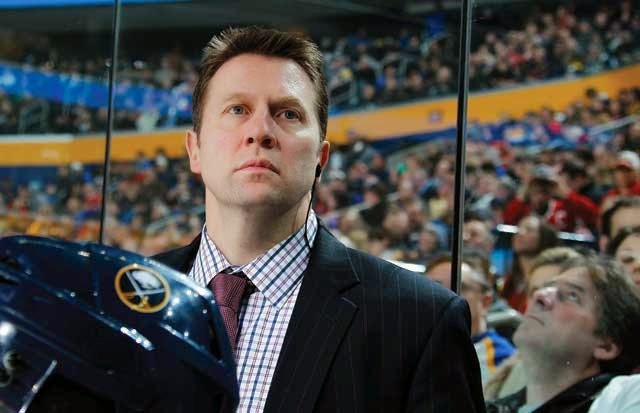 Grier, a fan favorite in Buffalo where he had two tours of duty, talked with Mike Ross on Sirius XM NHL (see audio link) about his career and his move into coaching. 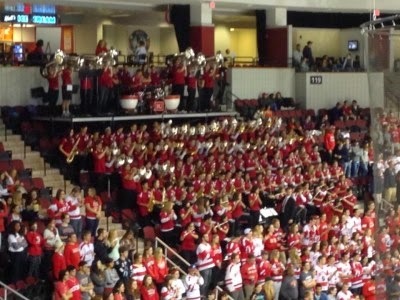 The BU band is a big part of the fan experience at Terrier home games and Beanpot games. But a group of band members played a different role this summer, participating in the shooting of a scene in the new Johnny Depp movie, Black Mass, about mobster Whitey Bulger. Fifty band members and 30 band alumni were included in the 100 musicians involved in a scene depicting a St. Patrick’s Day parade.